ZINGA The Pioneer POP Group of Bangladesh was initially formed in 1963 by a group of young college students of Chittagong Govt. College. 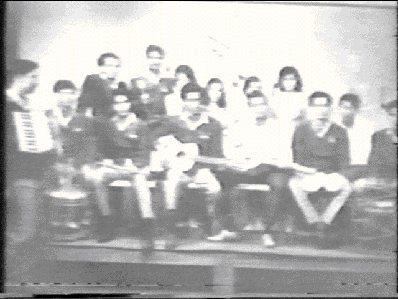 Zinga started its journey as the First Orchestra Band in Bangladesh. Led by Late Shafaat Ali -Zinga soon became very popular with its modern style tunes that revolutionized the Bangla POP/Band industry. Zinga started experimenting by blending Eastern Music in Western Style and giving Bangla Music a new flavor of fresh Breath. Zinga started playing Popular Tagore songs, Nazrul Songs & Hit movie tunes in Western Orchestra style. This group of young Bangladeshi students were the first in the country to start playing western instruments - Accordian, Drums, Guitar, Piano and modernizing Bangla Tunes. People embraced this novelty in wide open arms and Zinga Band had no problem in winning the crowd's heart. Of course Zinga faced a lot of criticism from the conservative crowd as well. But Shafaat believed that Novelty never goes uncriticized and that criticism should be viewed positively as it shows that the change has created an impact. 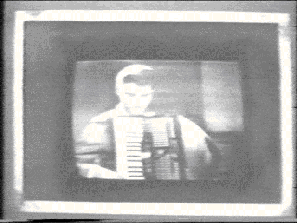 It was the era of Rock & Roll as Elvis made his debut in the Western world. Inspired by that Shafaat dreamt of a New Era in Bangla Music World. He soon started writing Modern songs and Zinga took a leap forward from Orchestra tunes to creating POP Bangla songs. 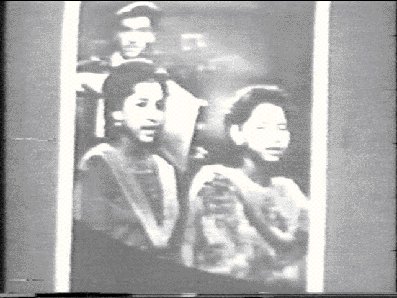 It was 1964 Shafaat's two teenage sisters Najma & Shehla Parveen stepped in the group. 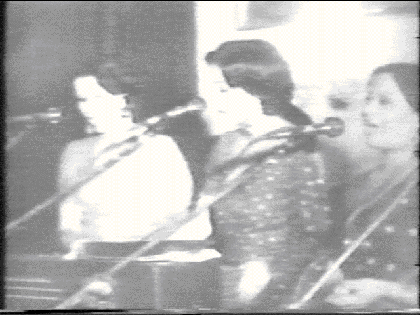 Both Najma & Shehla not only had outstanding vocals but was also talented of playing Piano , Bongo & the drums. And why not they grew up and got trained by Shafaat himself. 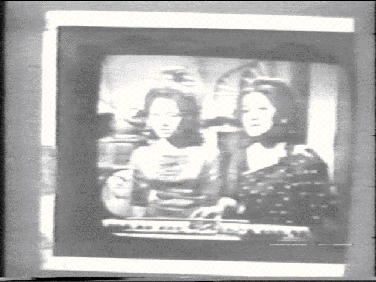 Najma & Shehla soon produced several hit numbers : Phule Phule Dhaka, Duti Mon Ekti, Shagor Tire and of course Najma's smash Hit "Tomari Jibone" Najma's evergreen HIT "Tomari Jibone" was produced by EMI Pakistan record label . The album was a smash hit in 1966. 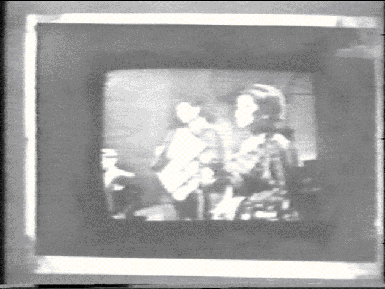 In 1965 Zinga was the first band to perform in the first broadcasted Bangladesh (Then East Pakistan) TV Show. 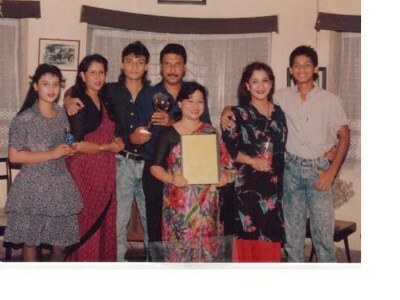 During this time Zinga moved to Dhaka from Chittagong and started appearing in Radio , TV and stage with their Popular songs. The band slowly integrated to be family dominated by the three brother & sisters. 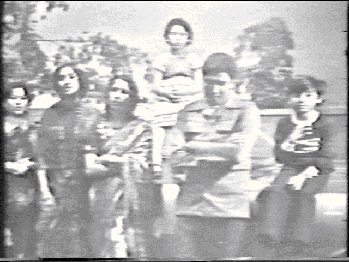 Most of the old members slowly faded away some left behind in Chittagong and Zinga brought in new members in the late 60s, early 70s. Early 70s Shafaat's wife Nighat became the new Zinga family member. During the war of independence in 1971 Shafaat wrote and composed dozens of patriotic songs that included "Naam Na Jana koto phul", "Ektoo Hethai Daro Pothik", Ora Bole Bir shohidher rokto" "Tumi Je Daak diey Gele". Zinga recorded these songs from their home Living Room and these songs were broadcasted by Shadhin Bangla radio during the war and inspired Numerous Freedom fighters to win freedom and give birth to an independent nation Bangladesh. Zinga also gave birth to noted singers like Kaderi Kibria & Linu Billah around this time as they started their music career under Shafaat's mentoring. Kaderi Kibria (The stage name given by Shafaat himself) took on the popular Tagore songs and started singing them with Zinga;s modern Orchestra Style. Linu Billah started later and started his career in the Modern Bangla songs. 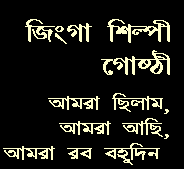 Of others were Jalal Abedin, Nazrul Islam, Pomi and many others. illah departed Zinga to explore their individual music career. Zinga solely became Family oriented with it four members: Najma, Shehla, Nighat & Shafaat. Not to mention Shafaat brought in his two children Shayan Ali & Shazia Narmeen in the TV show "Murchona" Produced by Abdulla Al Mamun. Zinga wanted to include the yougsters & children as their audience as well and hence started Nursery Rhyme songs in their TV programs to attract the youngster audience. Thereafter, Shayan , Shazia & Najma's son Bobby became part of Zinga. In 1977 Zinga brought under their wings several musicians for recordings & stage performances. It is then noted musicians/singers/ of today for example "Feedback" members Piaru Khan, Ahmed Imtiaz Bulbul, Sheikh Ishtiaq, Fuad Naser Babu joined and produced super hit numbers "Musafir Tumi", "Hoorray Hoorray", "Shanbadik Shdhu", "Sorry". Zinga also started to perform in BangoBhaban State & Presidnetial shows for distingusihed foreign Presidents and VIP Delegates. Zinga appeared only once a year in the BTV special Music Show and created record viewer ratings for these spectacular shows. In late 70s & 80s Zinga had already become the common name in every household and conquered millions with their POP songs. During this era Zinga gave inspiration to other noted POP singers of Bangladesh namely Azam Khan, Ferdous Wahid, Late Firoz Shai. In 1990 Zinga produced its smash hit Number "Majhi Bhai" after the famous tune "Lambada" Zinga performed this number in a special TV show produce by Sheik Riazuddin Badsha. The program was broadcasted before the World Cup Soccer started. 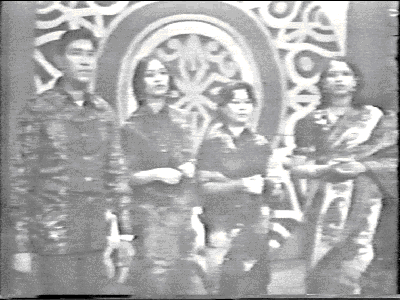 The program had all the then leading bands of Bangladesh(Feedback, Miles, Souls,Chimes) performing and Zinga appeared the last with Majhi Bhai and instantly debuted the hit number. This was Zinga's last and most memorable appearance in BTV. Zinga always there to serve its Music hungry Fans with innovative and novelty refused to be the victim of corruption and chaos. As BTV officials demanded money under the table to broadcast their shows Zinga decided to back off with dignity and honor that they truly deserved.Not many people were aware of this and hence wondered what happened to Zinga. Zinga kept on producing their own songs and went to various Video competitions overseas under Shafaat's own Record label Ipsha Record Ltd. Zinga appeared in Australia, Denmark, Netherlands, Luxembourg and represented Bangladesh POP Music and brought home glorious awards. In 1991 Zinga also appeared live in London on a sold out show of over 1000 audience. The two hour show was a huge hit amongst the UK Bangladeshi community. 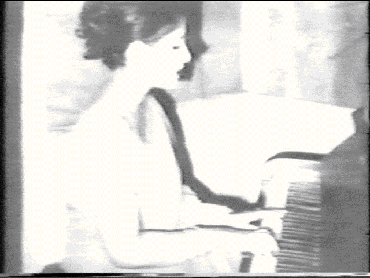 In 1992 Zinga slowed down, Najma Zaman Zinga's main vocal moved to USA, In 1993 Shayan moved to the States, and Zinga became absent within thier fans for a few years. 1997 Shafaat Ali the revolutionary musician, Lyricist & singer -passed away. But his music stayed behind with his family.